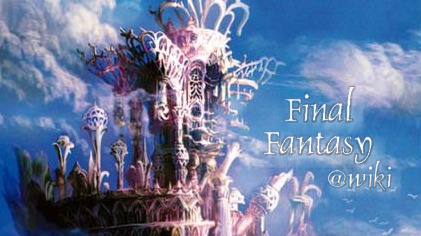 This is a fan wiki for the Final Fantasy game series. It is also for sharing art, stories, secrets, tactics and general information relating to Final Fantasy. All related and unrelated chat is welcome. Image by [Dint] at Dint's Graphics! Wiki under renovation/development. Sections marked with * still need a lot of TLC. Big thanks to the page's original creator [Eversio], and contributor [Wolf-Pack_NL]! 2013-02-10 [kittykittykitty]: Well you can never have enough of those. Especially animated chocobos. 2013-03-05 [kittykittykitty]: They're so cuuuuute. Do we have any other FF-related graphics that are usable on (i.e. donated to) EP? 2013-06-15 [kittykittykitty]: Uhhhh I'm so looking forward to it. They've been making it for 2 years already! 2013-06-30 [kittykittykitty]: I closed the RP pages that were here, since nothing had happened on them :P It was split into factions. Do you want to do it that way, or have one RP with everyone together? 2013-07-09 [kittykittykitty]: Do you know anyone else who would be interested in it? 2013-07-23 [kittykittykitty]: Get them to comment here and put the page on watch :P If you get a couple more people I'll set it up! 2014-03-01 [kittykittykitty]: Yeahhh... sadly they didn't enhance the graphics, sound, etc. so it's just a PC port with the added chocobo world thing. I need to finally collect all those cards. If I ever get enough hours xD Evil steam making me buy games I already have on console. 2014-03-29 [Stephen]: I KNOW WHAT YOU MEAN. I have FFVII (and VIII now) in CD, PSN and Steam form. Then I'm all like "Maaan. Why am I buying something I already own?" 2014-03-29 [Stephen]: ... and then FFX-HD came out and it was "Yay! Must purchase!". Although we (USA peeps) didn't get any of the international content with our release of X, so the HD does add some new (for us anyway) content. I did not realise that the European FFX had any additional content. But that probably means we got it released a few months later than you :P However I have no idea how they defined 'international' for FFX-2, since it wasn't released outside of Japan >.< I'm so tempted to get it because of the extra dress spheres... too cute. Yeah - the Dark Aeons and the Penance boss are all international. So is the cutscene thing, Eternal Calm.